It is with great sadness we report the passing of the Reverend John Hudson on Thursday 17th of January, for people are unanimous in saying that John was one of the nicest, kindest and caring people you could ever wish to meet as well as a talented current affairs and television news journalist. A career that involved speaking publicly from not only the pulpit, but to a much wider audience Statewide over the airwaves. John’s funeral was held at Karrakatta Cemetery with a cremation service on Friday 25th January, 2013. The service was conducted by the emeritus Archbishop Barry Hickey, the eighth Roman Catholic Archbishop of the Archdiocese of Perth, who served from 1991 until his retirement in 2012. The Archbishop was a long time friend of John, and had earlier conducted the funeral service for John’s wife Thelma, who passed away on Friday 14th September, 2012. Born Edward John Chapman Hudson on November 30th 1931, in Northampton, in the East Midlands region of England, about 67 miles (108 km) north-west of London, he preferred being called John. His first church position came from his future father-in-law Tom Hickling, secretary of the Congregational Church at Roydon in Essex. The church in which he wed Thelma Hickling, and to this day displays their wedding photo. 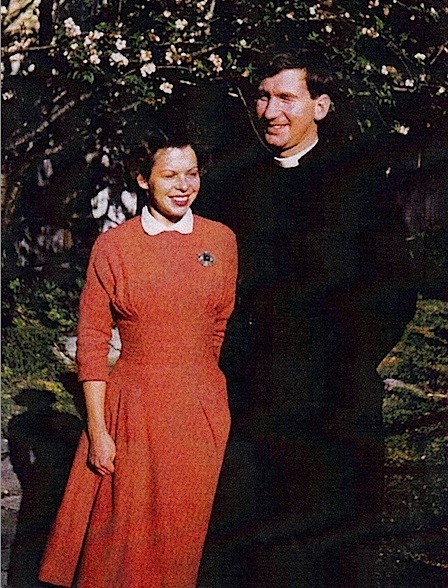 On emigrating to Australia in 1958, John became the executive secretary of the WA committee for the World Council of Churches, an inter-church organisation founded in 1948. Its members today include most mainstream Christian churches, but not the Roman Catholic Church, which only maintains accredited observers status at the meetings. It was soon after ABW Channel Two opened in Perth (7th May, 1960) that John began appearing on television, firstly as a panel member in October 1961 on the quiz show, “What’s My Food”. Then from December 1961 he was making appearances on the afternoon program “Woman’s World” and by 1962 was creating a lot of interest with a program called “Point of View”. It was also in 1961 that the ABC came up with a different way of treating the news. A controversial new style of reporting which analysed stories behind the news of the day, rather than blandly conveying the story in a most formal fashion, as occurred in the traditional News bulletins. This new concept began with the weekly “Four Corners”, now the longest running current affairs program on Australian television. This was an approach to News which John become involved in, when the ABC eventually extended the notion to each individual State. Meanwhile, with the opening of STW Channel 9 in Perth (12th June, 1965), John conducted a Sunday religious program called “Seek The Truth” in 1965 and 1966. Then in 1967, the nightly (Monday to Friday) current affairs program “This Day Tonight” started in Sydney and Melbourne, followed then in each State, with John Hudson as a regular reporting local human interest stories. Though Sydney and Melbourne were possessive about the name “This Day Tonight”, so the Perth version was called “Today Tonight”. 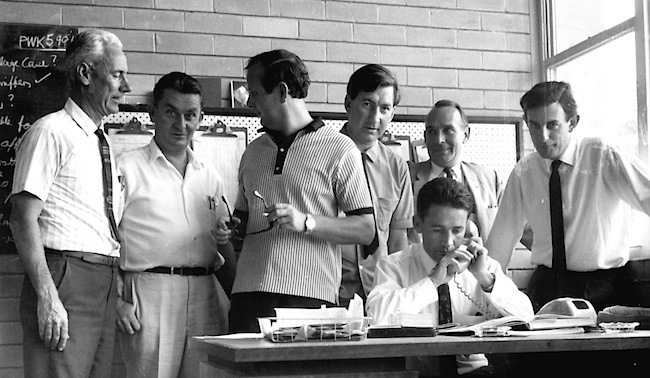 Prior to this, John Hudson had been working in the ABC Talks Department in Perth, broadcasting on radio with Tony Evans, who went on to be the first host of “Today Tonight”. Former TVW and ABC News journalist Bruce Buchanan was appointed executive producer, and John and Bruce remained friends from that day. Sporting man Jim Fitzmaurice was also recruited, but owing to budget constraints, Bruce gained his services as a reporter part-time between his Sporting commitments. In 1968, John resigned from the ABC to join Channel Seven in protest of their policy regarding “Today Tonight”, which he considered rendered it inconsequential. 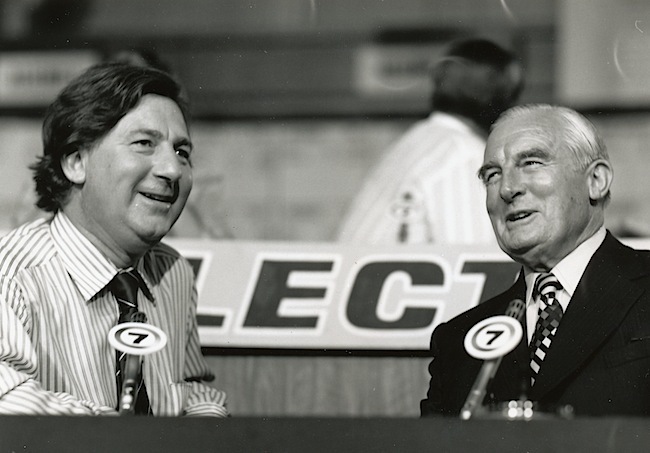 It was a time within the ABC when there existed conflicting views about how they should present News. Traditional reporting and presentation demanded a strict adherence to impartiality. This seemed at odds with the pioneering current affairs approach of asking probing questions, that often challenged the interviewee in an endeavour to reach the truth and engage in political analysis. “Today Tonight” was not only hard hitting, but considered provocative and ruffled many feathers in the conservative ABC, with its staid News bulletin reporting of the era. John then became busy presenting “Your Town” on TVW, which included a segment with John Rennie providing his satirical monologues. John was also involved in Channel Seven’s current affairs output, for though the ABC is credited with originating this genre of television, Darcy Farrell’s newsroom was busy from the dawn of TV in Western Australia, providing content that fitted that category. The station’s general manager (Sir) James Cruthers and Darcy were newspapermen and carried over the feature articles and special interviews into the television sphere. Celebrities were interviewed by eminent journalists such as Syd Donovan and Dan O’Sullivan, in programs such as “Viewpoint”, and political debates were introduced prior to elections. “Close Up” was another series of current affairs specials with Syd Donovan, which John Hudson became a part of. A mark of John’s standing in the journalistic field was his selection to interview the recently dismissed Prime Minister of Australia, by the Queen’s representative Sir John Kerr. This has Gough Whitlam, Prime Minister of Australia, 1972-75, commenting on the defeat of the Labor Party at the 1975 election, as televised on TVW Channel 7 in Perth, on April 19, 1976. Whitlam talks about why he expected to win the election; what he regrets most about losing it; his reaction to the departure of several Labor Party members; the effects he feels that the events of 1975 had on his credibility; his view that the Australian Labor Party could again come to power in 1978 and his reasons for this belief; where he feels the swing in world politics will lead; the fact that he has no regrets about what he said about the Governor-General and Malcom Fraser after his sacking; his feeling towards the Governor-General at the time of the interview; with the Liberal Party having been in power for less than 5 months, he refers to the fact that they have plunged the country into an economic mess in the time that they had been in; whether or not he he would go into politics or stay in law if he had his time over, but that he wants to keep going in politics. John was selective in what he covered, particularly when supporting folk in need. They needed to be genuine and deserving cases of people in plight, caused by circumstances beyond their control. 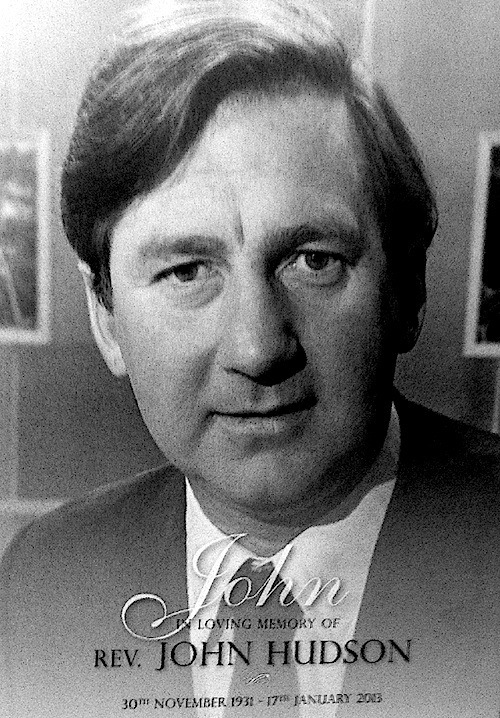 Steve Thompson was a cameraman assigned to News events, who is now very saddened to learn of the industry losing a legend such as John. “It is very sad news indeed. I worked with John at TVW during the 70’s, occasionally filming stories with him. I do remember one story we went out to cover in the North Fremantle area. With John’s talent for telling compassionate stories we were sent to see a family that had fallen on hard times and were seeking community support. They were having trouble feeding their children. When we arrived at their house John began to access their circumstances and said to me not to bring the camera just yet. I accompanied him into their lounge room, then kitchen. John looked around, then walked over and opened their fridge, closed it’s door and turned to me and said quietly we’re leaving. When we drove off he said he’d noticed a couple packs of cigarettes on the kitchen table so that’s why he went to the fridge. All it contained were 2 or 3 bottles of beer and no food and for us no story. Keith Mackenzie (TVW Producer/Director 1966-1982) joined with John Hudson, Don Rowe (TVW/6IX News/Production/Promotions 1970-1979) and Bill Meacham (TVW Senior Cine Cameraman 1967-1980) to make a number of documentaries which took them all over the world. One program titled “Fragile Handle with Care” took a look into the future, anticipating what may happen in the 1980’s with regard to society, entertainment, technology and the environment. Keith kindly provided the following account of working with John Hudson and the team. I was fortunate to start my Directing career at TVW 7 where I worked on just about every type of Production. Included among them were documentaries, a new challenge for me. I forget how it all started, but, a small close knit team was formed with John, Bill Meacham and myself sometime in the 1970’s. 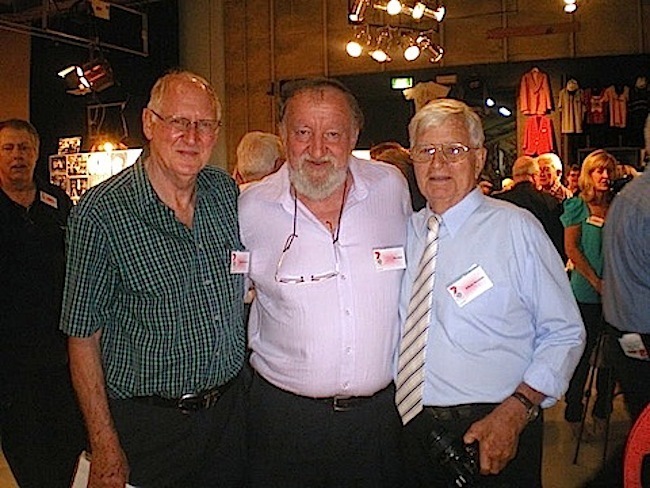 At that time I was working on Studio and Outside Broadcast programmes, John was in the Channel 7 Newsroom as a Journalist and Reporter, and Bill was the Head Film Cameraman. Now, when a particular documentary assignment was discussed, and given the go ahead, off went the three of us to anywhere in The World. John was the Producer/Writer/Interviewer/Fixer. Bill was the Cameraman and Editor and I Directed and recorded the Sound. A three person team making documentary films was rare in those days and we were the envy of many organisations, particularly UK based ones who, due to Union agreements, had to have more than double the number of crew. John was one of the nicest, kindest and caring people you could ever wish to meet, and in producing Docos, with his unlimited charisma, he could usually talk even the most reluctant participant to be involved and be interviewed. John was also a man of the Church, the Rev. John Hudson, but that was the other side of his life together with running a farm in Keysbrook. Here are a few of the many programmes that the three of us made together. They are not in chronological order and I forget the dates and most of the programme titles. The Cocos Islands with John Clunies-Ross, the last “King” and Ruler of The Islands. Sri Lanka problems. I remember one evening going with John to a secret Tamil meeting in Colombo, this was well before any Tamil uprising happened. Thailand, where we made two films, one on Drugs and one with the Royal Family. We filmed in the notorious Bangkok Hilton jail, in the poppy fields, in the opium villages, on a drug raid in the jungle, and on a drug bust at Bangkok Airport. Our internal air travel was provided by the Thai Air Force flying in a Dakota. On one of our trips our feet were perched on top of some wooden boxes down the middle of the plane. One of us asked what they were… to be told, just coffins. I don’t remember if they had bodies in them or not. The other Doco was with the King and Queen of Thailand where we were given full access to them and their activities. We travelled all over the country with them as they visited the villages and their subjects. I remember filming with them in a market with stalls selling used teeth and used spectacles. 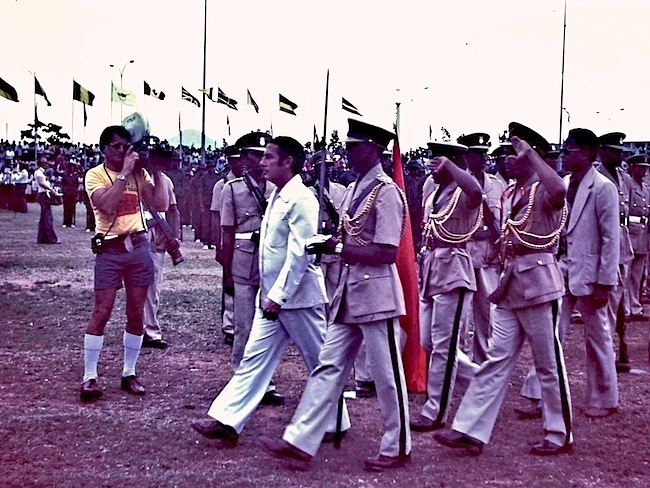 The Seychelles, where there had just been a coup when President Albert Rene took over the country. As often, when on an assignment with John, we had special access to people and situations and often got close to their families. We went back to film another Doco one year later to see how things had changed in the country. There was always a heavy military presence on Mahe, the main Island, and I remember once looking into President Rene’s garage at his house to see that it was stacked full of guns and ammunition. On one occasion we were filming a parade where he was taking the salute. The military tried to stop us getting near him but when he saw that it was us filming he gestured to them that we were OK, another example of John forming a close relationship with one of our subjects. 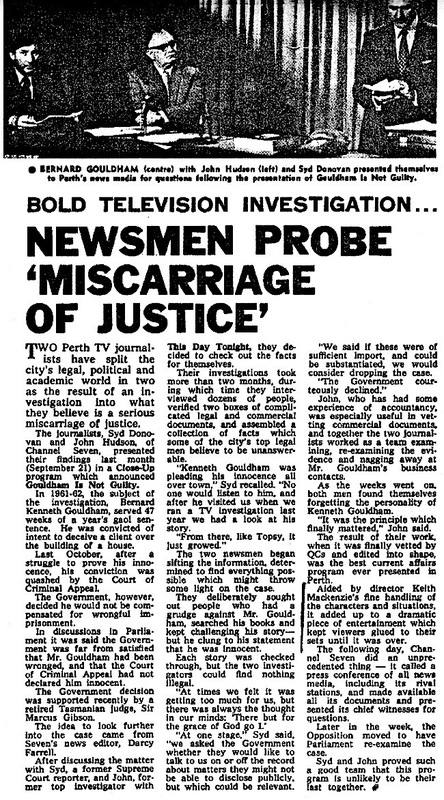 There was also a Studio based “Close Up” Special “Gouldham is not Guilty” with John and Syd Donovan. Another Doco in the 70’s that Bill, John and I were involved with, was a little different from the normal. Thames TV in London had produced a documentary about Ruth with a few unanswered questions about an accomplice, Desmond Cussens, who kept very quiet at the time of her trial, and later, when she implicated him just before she was hanged, had disappeared. The programme was about to air when, for some reason, one of their researchers was looking at phone directories around the world and came across the name Desmond Cussen here in Perth. Channel 7 was contacted and John, together with Bill and myself, were assigned to research and check it out. We had a copy of the Thames Documentary. We found Desmond running a Flower Shop in Scarborough. We set up a hidden Camera in Bill’s car and then followed him to his house. John went and knocked on the door to tell him about the Thames Documentary and ask him if he was that Desmond Cussen (all Filmed) which he admitted. Desmond was shattered as it had been many years of living anonymously and he thought it had all gone away. John persuaded him to come to Studio 2 to view the Documentary on a Steinbeck set up in the middle of the studio floor, and John sat through it with him and afterwards asked him some questions. It appeared to Desmond that only John and Desmond were in the deserted Studio, however, all this was being recorded as I had set up three locked off Studio Cameras and I was in Studio 2’s Control Room. Eventually Peter Williams, the Producer/Reporter from Thames TV, who had produced the documentary, came out from London and Desmond was persuaded to do an Interview with Peter, which, Bill and I filmed in a room at the Sheraton Hotel in Perth. On one occasion we were sent off to film a more relaxed, non political Doco, in South Africa, although, as it turned out, tragedy struck before we started filming. TVW 7 were going to stage the 1979 Miss Universe Pageant at the Entertainment Centre in Perth. 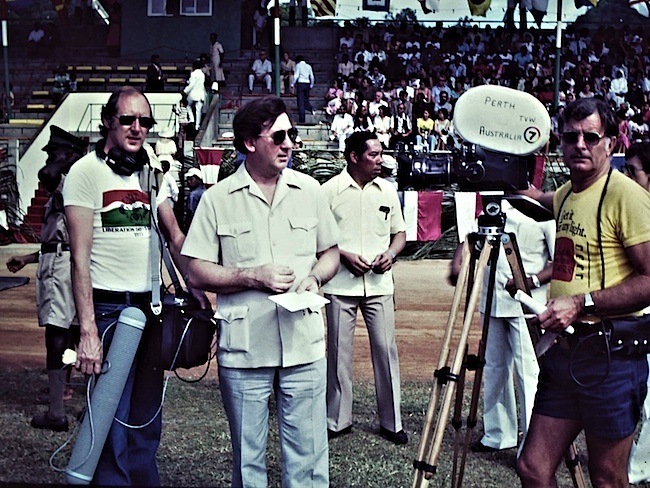 In 1978 a production team, including Max Bostock, Marion Leyer, Brian Smith and myself went to Mexico to work with the CBS Television Production Team on the 1978 event. The winner that year was Margaret Gardiner from South Africa who would be an important part of the 1979 Pageant in Perth. So, it was decided to film a Doco on Margaret when she returned to South Africa, where she would receive a royal welcome followed by a tour of the country. On arrival in South Africa, the night before we were due to start filming, John had a phone call to say that Peter, his son, had been killed in a tractor accident on their farm in Keysbrook. John didn’t know what to do and was concerned about our assignment. Bill and I told him to forget about the programme and made him return to Perth as soon as possible. We carried on without him but were unable to support him at Peter’s Funeral. I doubt that John ever really got over Peter’s death. After the Miss Universe Pageant in Perth the three of us, together with Don Rowe, formed a company called “Threshold” basically to make Documentaries. Although short lived we had a few interesting projects. One was “Fragile, Handle with Care” which was about the Earth and its future, looking forward into the 1980’s. We went around the world filming various segments. Some of those included entertainment, with an interview with Robert Stigwood, the Bee Gees manager, on a Yacht in New York. A bonus was being invited to The Bee Gees Concert in Madison Square Gardens that evening. We featured Sir Freddie Laker of SkyTrain fame on future Air Travel as well as a visit to the McDonnell Douglas factory to discuss future Supersonic aircraft development. We interviewed Billy Graham in Dallas on Religion. We featured British Rail and filmed in the drivers cab of an InterCity 125 between London and Edinburgh. Another bonus was tickets to The Edinburgh Military Tattoo. On that trip producing “Fragile, Handle With Care” … John also spent time with and interviewed pioneer heart transplant surgeon Christian Barnard, consumer advocate Ralph Nader, astronaut John Glenn, the ‘inventor’ of cloning Robert McKinnel, Muppet movie director James Frawley … and many more .. including nightclub and erotica entrepreneur Paul Raymond (Windmill Theatre), the staunch social conservative Mary Whitehouse who was opposed to society becoming more permissive, Edward Norman (Dean of Peterhouse at Cambridge) an ecclesiastical historian, (Lord) Alexander Hesketh (whose great passion is motor racing) and the nightclub entrepreneur Steve Ruebell (co-owner of the New York disco Studio 54 – a popular and world renowned nightclub from 1977 until 1981). On that trip Stuart Joynt was also part of the team. When we were shooting the Sir Freddie Laker sequence we wanted shots of aircraft landing and taking off at London’s Gatwick Airport, but, not from a distance, but from close up, shot from the side of the runway half way along. We got permission, but to allow us to film, Bill and I had to be insured for One Million Pounds each for half a day to cover the morning of the shoot. Later we flew on SkyTrain to New York, I think it was on a DC 10, where some of the baggage included bicycles. SkyTrain was one of the very first really cheap ways to fly to New York. When we took off, Bill was filming the take off on the Flight Deck. Just after leaving the ground there was a mighty Bang and the aircraft shook. I did wonder if it was Bill that caused it, but, no, we had been struck by lightning on take off, however all was well and we were able to continue. Much later Sir Freddie inspired Richard Branson to start Virgin. Also at that time Maybelline, the cosmetics company, were looking for an Australian film company to shoot all their Australian Commercials. They were not allowed to show the American versions in Australia, they had to be actually made in Australia. Exact copies of the American versions had to be produced. Maybelline were involved in The Miss Universe Pageant so we already had good contacts with them. During our around the world filming trip we visited them in America and John did a great pitch which secured us the contract. I also have many fond memories of burning the midnight oil over a glass or two in a hotel room somewhere in the world discussing ideas for future projects. During our working times together our families also grew close, in fact, John baptised our two children. Eventually the three/four of us went our separate ways and on to new challenges, but, I will always remember many happy times working with a unique man “The Rev”. Some of Hudson’s best work is shown in a film produced by Jon R. Noble ACS of Filmwest, where he was a one man crew. Producer, director, cameraman and soundman. The film was narrated and presented by John Hudson, and produced for no fee to assist the Australian doctors attempting to alleviate the suffering of Ethiopian men, women and children, during the 1974 catastrophic humanitarian crisis brought about by crop failures in sub-Saharan Africa. Don says that John went to Ethiopia during the first great famine (before Geldorf) and showed WA doctors and nurses battling to keep kids alive. He appealed for funds – and help. His role was a cross-over between a journalist and a Minister of Religion. It was the humanitarian – or humanist coming to the fore. Another dream of John’s was to provide a refuge for lost souls, where money obtained from the sale of St John’s Congregational Church in Fremantle was used to purchase 110 acres of farm land on South West Highway, between Serpentine and Keysbrook. This rural property initially had one old house, to which two new small houses and one bigger house were added. This enabled a group of helpers to move in to support a variety of needy people who fell through the government support agency cracks. People such as battered wives, folk in need of respite care, and indigenous children wanting assistance. A community environment was soon set up on the property, which had facilities to provide shared accommodation. It became a working farm designed to involve the residents in activities that would distract them from their worries. This included running sheep and growing lucerne to sustain them. A kindergarten was established and run by Carol Swann, which also attracted children from the local district. Meanwhile John and his family lived there and conducted Church services, between this and his metropolitan commitments. Sadly, this all came crashing down in September 1978, with the death of his son Peter in a tractor accident on the farm. He was only fifteen years of age. After this John became more reclusive. Though he did continue working with Keith, Bill and Don during their brief time under the production company ‘Threshold’ until Keith left Perth to work for the BBC in mid 1982. Then the church sent him a brief message thanking him for his years of service. For in 1977, most congregations of the Congregational Union of Australia merged with all Churches of the Methodist Church of Australasia and a majority of Churches of the Presbyterian Church of Australia to form the Uniting Church in Australia. It was the former TVW News Editor and government advisor Darcy Farrell and his former journalist colleague and then Premier Brian Burke (from 25 February 1983 until his resignation on 25 February 1988) who offered John a lifeline through Homeswest. John worked in a public relations role, and worked with former TVW colleague Brian Coulter for the Government Media Office. John ended up working for both Labor and Liberal state governments, starting with Burke then followed by other Labor Premiers (Peter Dowding 1988 to 1990 and Dr Carmen Lawrence 1990 to 1993) and then Liberal Premier Richard Court, whose term was from 1993 to 2001. The State Housing Commission became Homeswest in 1985 and several schemes were developed to encourage tenants to transition into home ownership. These schemes included Keystart, the Aboriginal Purchase Scheme, the Home Purchase Assistance Scheme and the Small Loans Scheme. A field that related to people in need and matters of compassion from a man of the cloth who lived his beliefs. During Archbishop Hickey’s service at John’s funeral, he related an amusing take on the Superman story. This related to a belief in the existence of the man of steel, who changed from a mild mannered reporter to the superhero in a telephone box. To which one person explained their lack of belief in this notion, based on the point that no one had ever encountered a ‘mild mannered reporter.’ Which was something John actually was, as his charm always came though in the field of hard nosed news gathering. John maintained a strong belief in the doctrines of the church, particularly those relating to the aspects of passing through death to eternal life. On hearing the diagnosis that his disease was terminal, he was comforted in the belief that he would be able to be reunited with his late wife Thelma, who passed away only last year, on Friday 14th September, after a difficult year of precious time with her family. John had cancer and told Don Rowe only a week before that all he wanted was to be with Thelma. It appears that John underwent surgery on the morning of Thursday 17th of January, but didn’t come out of it. 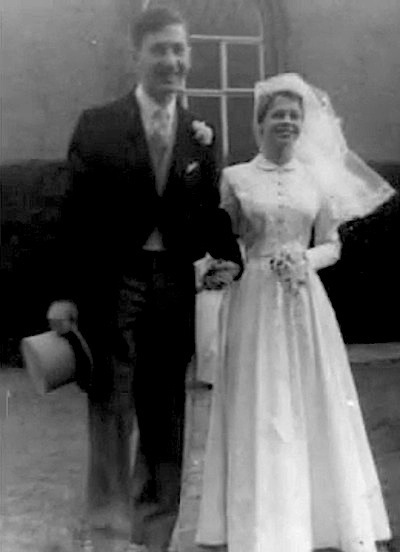 John and Thelma raised four children Simon, Matthew, Phillipa and Peter (deceased). At John’s funeral service, Simon gave a scripture reading whilst Matthew and Phillipa provided eulogies that enlighten us about John’s background, family and more private aspects. There was a good contingent of family, friends and colleagues present to celebrate a good life well lived. We wish to thank Keith Mackenzie, Don Rowe, Bill Meacham, Darcy Farrell, Bruce Buchanan, Carol Brands (formally Swann), Michael Goodall, Peter Holland , Steve Thompson and Simon Hudson for their much valued input to this tribute. Another wonderful story Ken and a great read with lots of reminiscing. 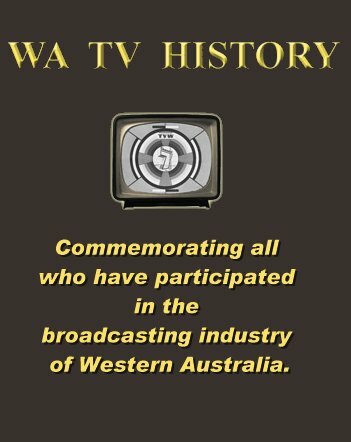 Congratulations again on your continued efforts to record the history of TV and our industry, which without your great compilation skills would not be the same. “Keep up the great work”. Your stories, I am sure are welcomed by many who do not comment, but I believe when someone is doing a good job they deserve commendation. I had the privilege or working with The Rev from 1988 until we both retired in 2004. He was the most intelligent, caring and compassionate man I have known. We had a great working relationship and whether it was compiling messages and letters for the various Premiers we worked under or speeches for Ministers, Deputy Premiers and even the WA Governor, John had the ability to hit the right note leaving my main role to be a recorder of his thoughts and messages. He was “family” to me, sharing my joys and disappointments over the years. He was a great man and I miss him. It was typical of him that he wanted no fanfare on his departure and it is good to know that this article will revive memories of his working life and his value to the media industry. Helen Harrison, former TVW Graphics Designer and I were married by John at Midland Methodist Church in September 1970 – we have been happily together now for over 42 years, I’m sure he would be pleased to know that. He was a gentleman and a gentle man. We are deeply saddened to hear of his passing. Bless you John, and thank you Ken for a fine tribute. This has been an excellent and deeply moving tribute to a truly great individual. I am very saddened to hear that John has gone on ahead of us, he was one of the best and kindest men I have ever met in all my time in the entertainment industry. My warmest condolences to those who loved him and love his memory, I am sure that he will be sorely missed. What a lovely tribute. Can I please ask what happened to the interview with Desmond Cussen? 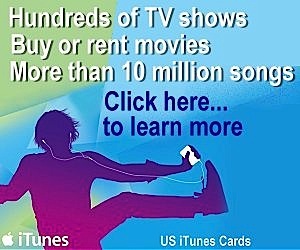 Is it still in existence and if so, how would one gain access to it? I was best friends with John’s son Peter at school and stayed with the family at the farm in Keysbrook several months before Peter’s death. All I can say it was a pleasure to stay with the family. They were so kind to me during the stay and we had a ball. I’m sure Peter is with his dad now. RIP John.